Samsung will soon be launching its mobile payments service in India. We reported exclusively a couple of months back that Samsung Pay will be launched in India in the first half of this year. The company has now started teasing the service’s launch in the country and the latest Galaxy Note 5 update that it released in India brought the Samsung Pay app for this handset. 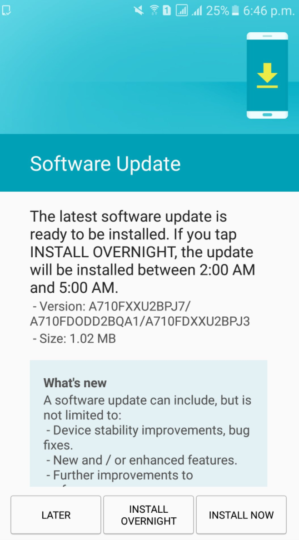 A similar update has been released today for the Galaxy A7 (2016). Samsung has released a minor update for the Galaxy A7 (2016) in India. Firmware version A710FXXU2BPJ7 is now being rolled out in the country. It doesn’t bring much in the way of major improvements and it doesn’t even include the latest security patch. 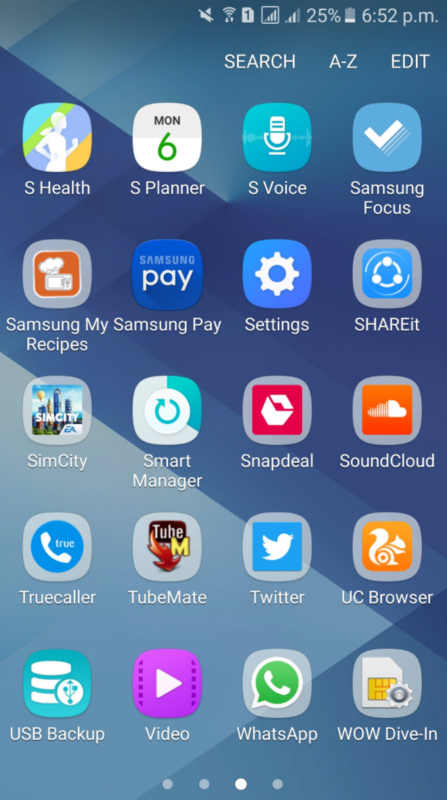 What it does do is add the Samsung Pay app to the Galaxy A7 (2016). Expect Samsung to roll out the app via this method for other compatible devices over the coming weeks. According to recent reports, Samsung is going to opt for American Express as its launch partner for Samsung Pay but the service will eventually support Visa and MasterCard as well since Samsung is talking about both card companies. Android 6 to a7 2016 (a7100) never not released. Will note 4 get samsung pay ? Dijeron 17 de enero y estando al 6 de febrero cuantos telefonos actualizaron? En cuantos paises llego la OTA? 7? Menos del 10% de los s7 tienen Nougat. A SAMSUNG LE CHUPA UN HUEVO EL USUARIO. SAMSUNG VENDE, DESPUES SE OLVIDA, AHORA LO MAS IMPORTANTE ES EL S8 Y LES IMPORTA UN CARAJO LOS QUE PAGAMOS UNA FORTUNA EL S7. Why can’t Samsung allow the app to be downloaded from Play Store or Galaxy store for eligible device and regions rather than forcing users for a firmware update only to wait and hour staring at Android is optimising app screen !!! If other improvements are included with the update then a firmware update is OK but I don’t see any sense if it is only to install an app !!! Well S6 didn’t get Smausng Pay app with January update like Note5, so I’m hoping that pay app will come with Nougat Update.. Not with a separate update. S6 & S6 Edge does not support Samsung pay in India as they don’t have MST chip needed to make transactions with normal swipe machines.